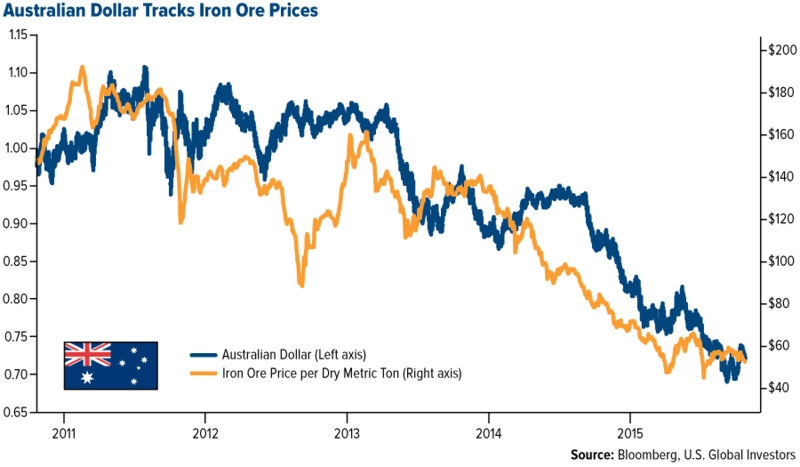 Below are five world currencies that have been impacted by lower commodity prices. The sixth-largest oil producer in the world is Canada, about a quarter of whose exports is oil. The Conference Board of Canada, a not-for-profit economic research group, estimates that sales for the country’s energy sector will recede a sizable 22 percent this year. In Alberta, where revenue from oil sand exports had until recently helped the province become the fastest-growing in Canada, GDP is expected to contract 1 percent and, in September, the country’s economy shrank for the second straight quarter. 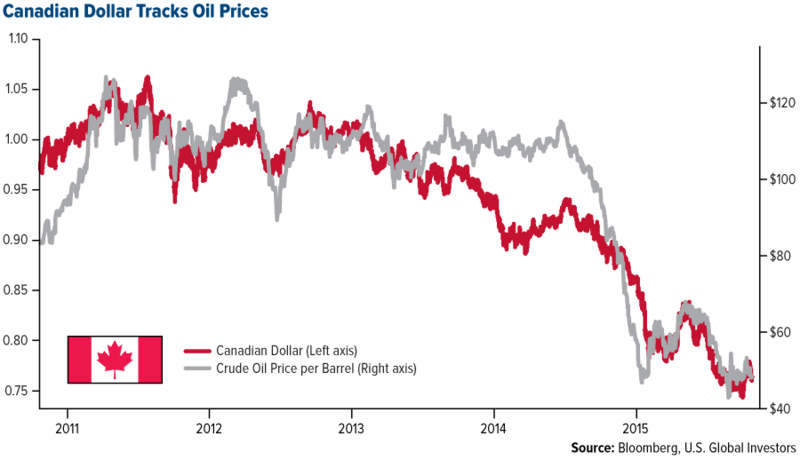 As for the Canadian dollar, it’s fallen around 15 percent against the [U.S.] dollar for the one-year period. Compared to Canada and Australia, Russia’s export mix isn’t nearly as diversified: About half of its exports in terms of value are a combination of oil and natural gas. (Russia sits atop the third-largest oil reserves in the world and the number one natural gas reserves.) 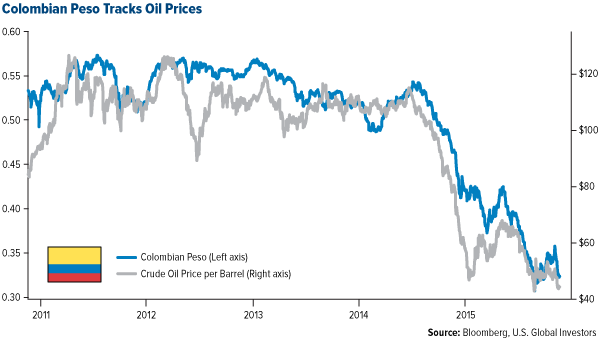 It should come as no surprise, then, that its currency is highly influenced by Brent oil. 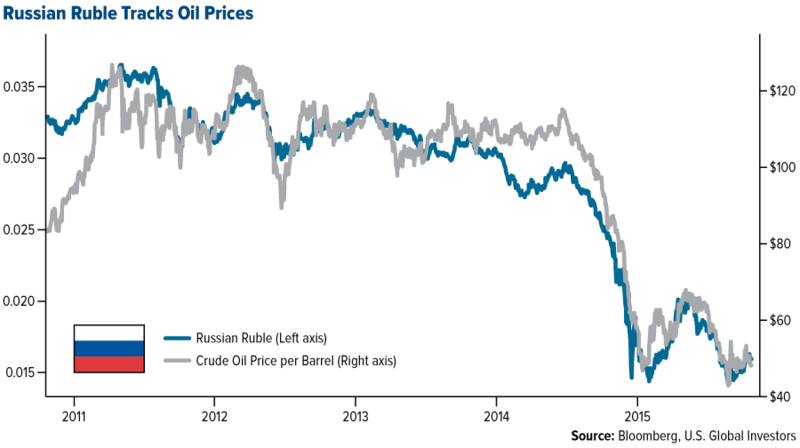 Where oil went starting in July 2014, so went the ruble. Previous Debt Clock Updates By Country: How Much Does Your Country Owe?